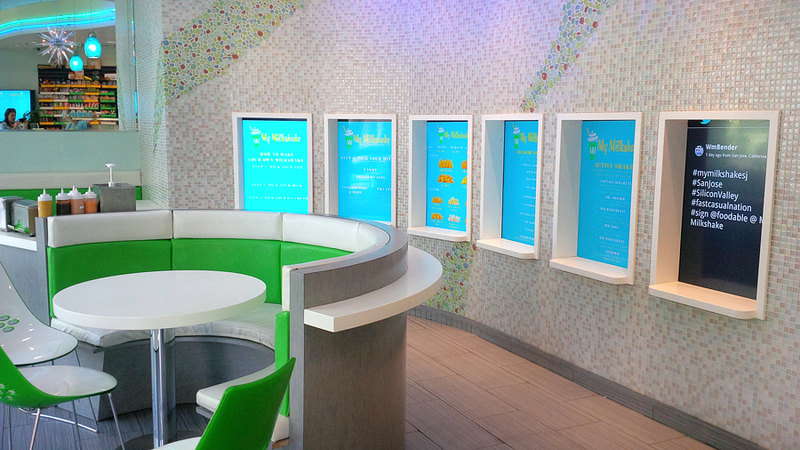 A milkshake bar. 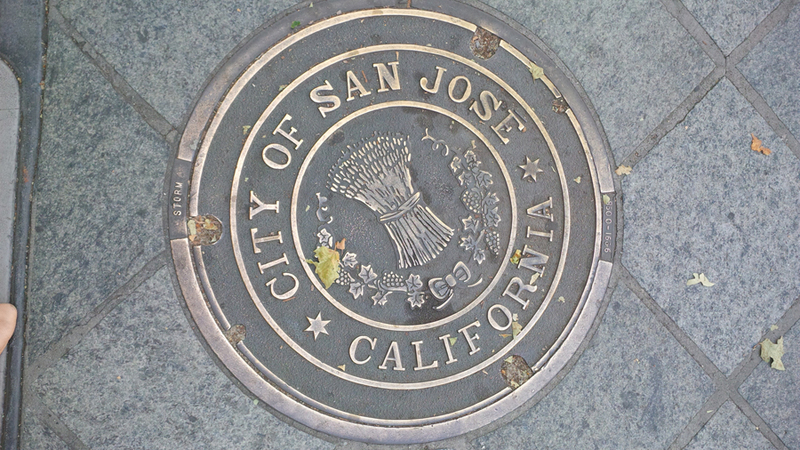 In downtown San Jose. A plethora of milkshakes to choose from. Tons of candy on the wall. I AM IN DREAMLAND. Although, not the perfect milkshake I’ve ever had, it was still a really cool experience to completely customize your own milkshake however you wish. 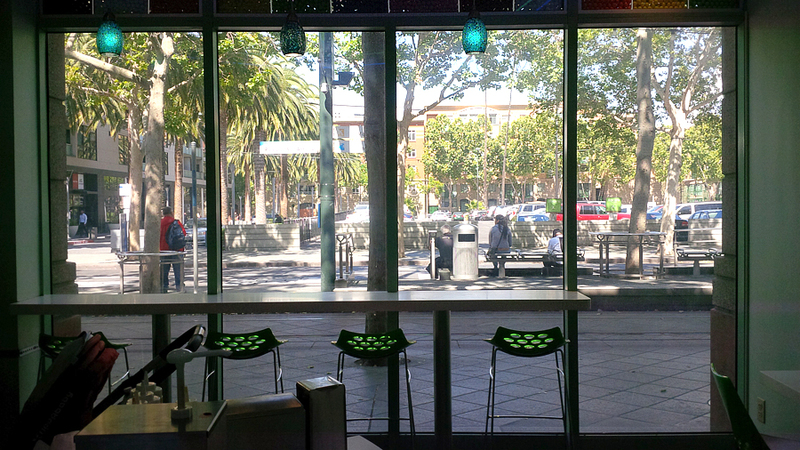 My Milkshake in San Jose is a new business which opened in January, and has the most trendy decor and friendliest staff. 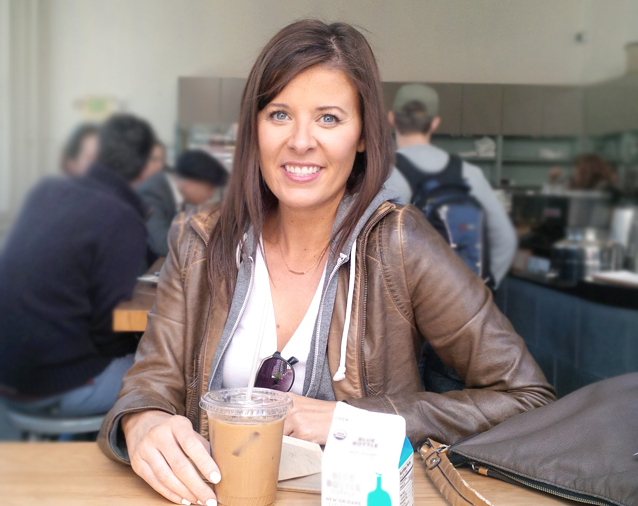 Luckily I brought my Canadian friend (who is living down here in California too) with me, to try it out during mid-week in the middle of the day. The staff working there says it has line ups all the way down the street after work is out, or on the weekends. So we lucked out that way, with no line. Their milkshakes are all named after superheroes: SuperMMan, BatMMan (the double M stands for My Milkshake). I decided on ordering the SpiderMMan which had kit kat and fererrro rocher chocoaltes in it. It was pretty tasty, and definitely tasted like a ferrero rocher chocolate. 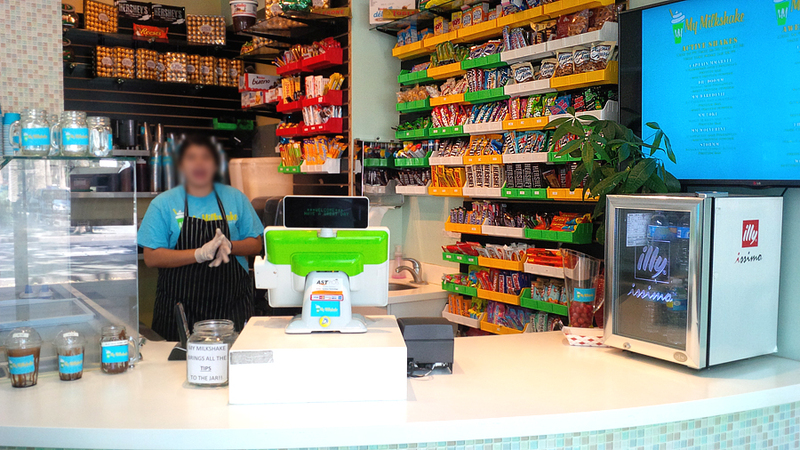 You can pick your milks (almond, regular) and your ice cream (soy, regular and yogurt). Note that the location of My Milkshake is in downtown San Jose, so if you find a spot outside their building they can validate your parking for you when you buy something from My Milkshake, or you’ll have to find a parking garage or metered parking (free after 6 P.M.). 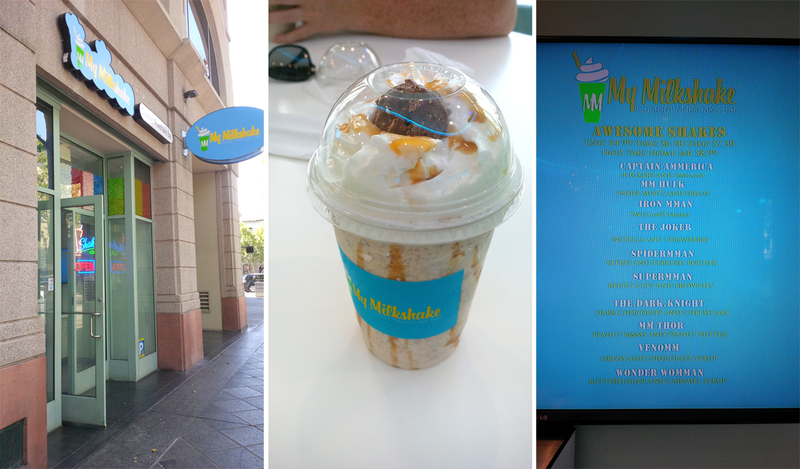 But definitely give this place a visit if you’re a milkshake lover, who loves customizing their drinks! Mmmm that milkshake sounds delicious! 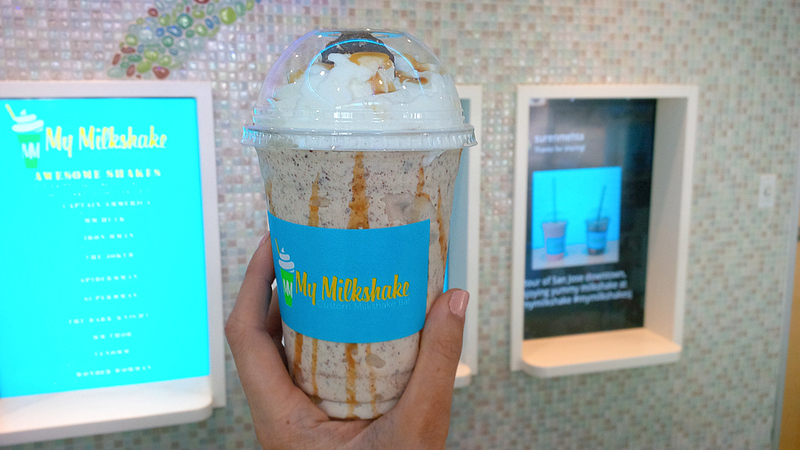 It’s like Yogurty’s but for milkshakes.